A wedding event stands out at the top amongst the most prominent occasions of every individual’s life. Indeed, it’s considered as a fresh start of lifetime events or a time period where you need to bond with someone for whatever remains of your life. It appears to be much energizing life event and individuals get ready prior to this occasion and continue to do so as planned. Most of the individuals leave no stone unturned to make it one of the most celebratory events of their lives to cherish forever. Among all aspects of weddings, transport is such thing that seems an important part in making the event extremely fabulous. What’s so superior to anything in this event is choosing a limo for this enormous day of your life. In case, you think it can cost you a fortune! There are immense numbers of wedding limousine companies in the New Jersey; which are well-prepared to offer you industry-best limo transportation services at the most competitive price quotes. Book Early – For a wedding in April, May and June, book your limo in advance. It’s due to the fact that these months are the peak wedding season, also a prom and graduation season; so limousine companies are likely going to be reserved beforehand. So, you should stay ahead of the competition by choosing your transportation around six months before you’ll need it. This should be after you’ve finalized the date, guest list, ceremony, venue and wedding party. Organize a Ride for Bridal Party – If you provide transportation for your bridal party, it can help you go on things smoothly as the bridal party transportation is planned out and taken care of perfectly. 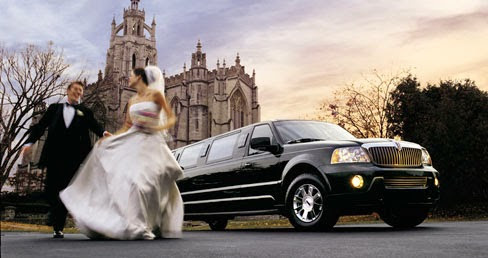 If you want to travel in a bridal party, consider getting a wedding bus shuttle in New Jersey to transport all of you. At the end of the event, your bridal party can get back home or the destination of choice safely with a New Jersey wedding bus shuttle. Arrange Transportation for Wedding Party Guests– If you’re inviting a lot of out-of-town family, you should consider booking a wedding bus charter in New Jersey to get them from the hotel to the ceremony and the reception. After all, navigating a new place can be a bit stressful for out-of-towners. But a New Jersey wedding bus charter can make sure that all the family arrives safely and on-time by providing stress-free, safe transportation. Conclusion – A strategized hunt can surely help you get the best wedding limousine in New Jersey at reasonable costs. Spending a couple of hours can be a great help to make your wedding as great event as possible. In addition to, while designating executing plan for different exercises; do contemplate transport of New Jersey wedding limo rental from US Bargain Limo. Pick the limo specifically while getting it is not that much troublesome for you! Don’t forget to share your thoughts in the comment section below or feel free to reach us through our Facebook, Twitter and Google+ page!